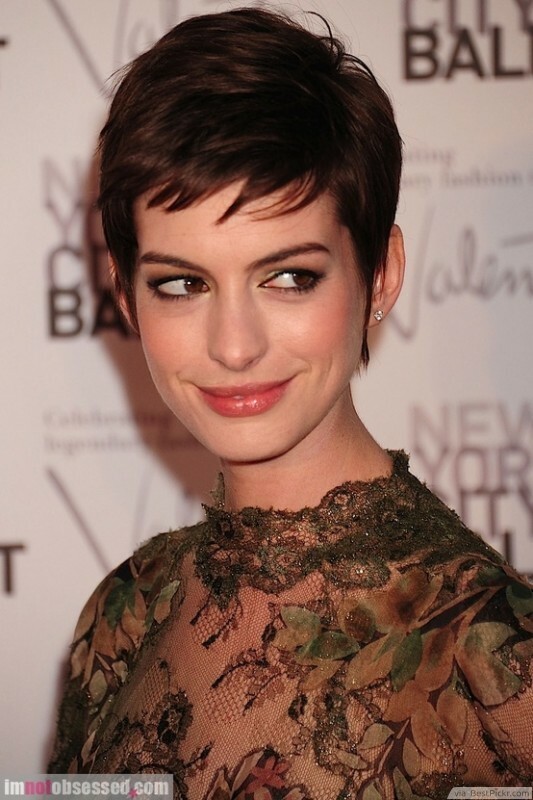 Anne Hathaway looks lovely with a pixie. A pixie can be surprisingly versatile. One way to mix it up is to have short bangs. With a pixie, they don’t look overly cropped and it opens up the face and frames it nicely. By keeping the bangs piece-y it softens the whole look-taking a masculine style haircut and making it girly! Subtle texture cut into the top gives you more styling options.